Melbourne places of historical importance including locations, events, festival, open days, re-enactments and rallies. The Altona Homestead was the first Homestead in this area. Construction of the building commenced in 1842 on an area of land now known as the R.J. Logan Reserve. Then owned by Alfred and Sarah L .. The Altona Homestead provides visitors of all ages the opportunity to take a step back to the time of our early settlers to the region of Altona. Located overlooking the tranquil Logan Reserve in ..
Banyule Homestead or Banyule House has long been one of the landmark buildings in Heidelberg. The gothic-style mansion was constructed in 1846 by one of the overlanders from Sydney, Joseph Hawdon ..
Barwon Grange is a place in an elegant early Victorian suburban villa built for upper middle class merchant, property financier and banker, Jonathan Porter O'Brien. It is the only surviving exampl ..
Imposing bluestone mansion built in the 1860s for Thomas Austin, its first owner. The property comprised 12,000 hectares, and was noted for its sheep and horses. Barwon Park was built by Thomas Au ..
Beleura is an exceptional place. The Tallis Family Summer House for many decades and from 1950 John Tallis' home, it houses an amazing collection of items. When John Tallis died in 1996 he left his h ..
Open every day from 11:00am - 3:00pm or by prior arrangement. Dedicated volunteer guides look after the temple and offer great insight into Chinese culture and the story of the Chinese on the Bendi ..
We operate the best working collection of heritage trams in the world. We currently have 45 trams in our fleet, 13 of which operate our Vintage Talking Tram service. Vintage Talking Tram Tours ..
Billilla mansion was built in 1878 by Robert Wright on land owned by Nicholas Were. Brighton City Council (now Bayside City Council) purchased Billilla mansion to retain the building and sites his .. Built in 1856 by Victoria's first Auditor-General, Charles Hotson Ebden as a seaside holiday residence, Black Rock House is now owned by Bayside City Council. Black Rock House offers a unique windo ..
Bolobek, a magnificent heritage property nestled in the foothills of Mt Macedon in Victoria, has inspired Australian gardeners for more than a century. Bolobek is listed on the Victorian Heritage R .. Built in 1899 Bundoora Homestead is a magnificent Queen Anne style Federation mansion operating as a historic house art gallery and cafe. Bundoora Homestead's cafe offers a seasonal menu of fresh m ..
Burnham Beeches is an iconic Art Moderne mansion and estate located on Sherbrooke Road, Sherbrooke, 45 minutes from the city of Melbourne. Aside from the exquisite mansion the estate contains exte ..
Carome Rural calm in the northern suburbs Today Carome is now home to Two Beans and a Farm, a thriving cafe, and the Mernda Community Garden at Carome. Set in paddocks and perched on the Plenty R ..
History comes alive at Central Deborah Gold Mine Bendigo-Heritage-Attractions-LogoAt Bendigo's Central Deborah Gold Mine you can explore the hidden underground tunnels of a real gold mine that oper .. The former City Watch House operated as Melbourne's central custody centre or 'holding place' for people arrested and awaiting trial. For almost a century, every person arrested in Melbourne was lo ..
A stone's throw away from Melbourne's shopping mecca and perched high above the Yarra River lies the sanctuary of Como. Boasting one of Melbourne's finest garden, an inspiring historic mansion and ..
Cooks' Cottage is rebuilt in the picturesque Fitzroy Gardens to commemorate the voyages of Captain James Cook discoverer of Australia. Opening hours Monday to Sunday: 9am to 5pm Cooks' Cottage is ..
A Shared History 17 June - 4 August, 2020 | 7 weeks of history Cooktown 2020 is a visionary 48-day festival celebrating the arrival of James Cook 250 years ago, the scientific discoveries that ..
Coolart Homestead is a magnificent late Victorian mansion situated on the shores of Westernport. In the superb grounds are ever-changing wetlands that you can view from the observatory, and a lagoon w ..
Once the home of Dame Nellie Melba, Coombe is a property with an unrivalled provenance. Seven acres of stunning gardens and beautifully appointed facilities in the restored motor house and clock t ..
Cooper's Settlement is located in the largest park in the Northern suburbs, Bundoora Park - 15 kilometres from the centre of Melbourne. When you visit the Settlement you can experience a variety of ac ..
Cooper's Settlement is open 7 days a week all year round. Cooper's Settlement is located within the largest park in the Northern suburbs Bundoora Park. When you visit the Settlement you can expe .. Colonel David Collins (3 March 1756 - 24 March 1810) was the first Lieutenant Governor of the Colony of Van Diemens Land, founded in 1804 (Tasmania). Collins established the first ever settlement i .. The jewel of the Macedon Ranges est. 1872. The 1875 historic Victorian homestead is in excellent condition and is warm and inviting as it is still a much-loved family home. Built in 1875 by Suet .. The story of Emu Bottom Homestead begins on August 30 1835, when the schooner Enterprize sailed up Port Phillip Bay. On board was the first party of settlers who built the huts of the banks o .. The Esplanade Vaults that once housed 10 shops are located on the Lower Esplanade across from the St Kilda sea baths. In the 1890s, public transport on the Esplanade was upgraded with a new cable t ..
Eurambeen Historic Homestead and Gardens is an Historic Landmark of Victoria's rural heritage, built in the 1850s. 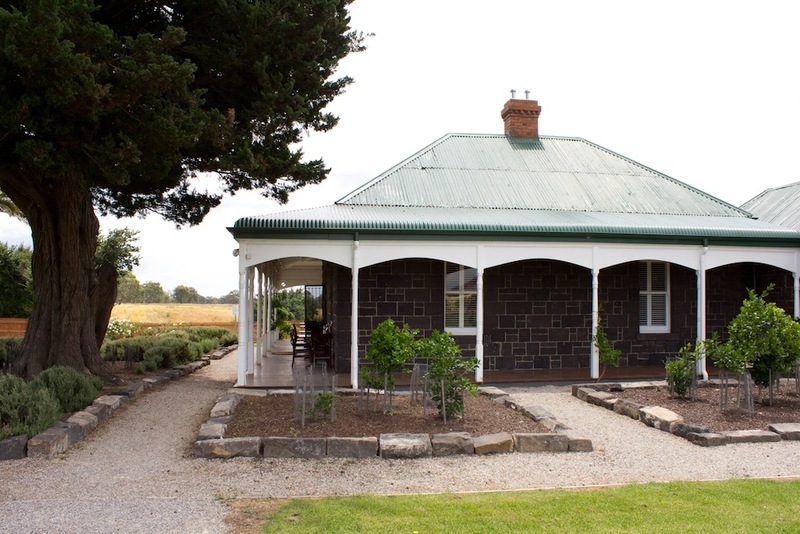 Eurambeen Homestead offers accommodation is available for events, functions, wedd .. 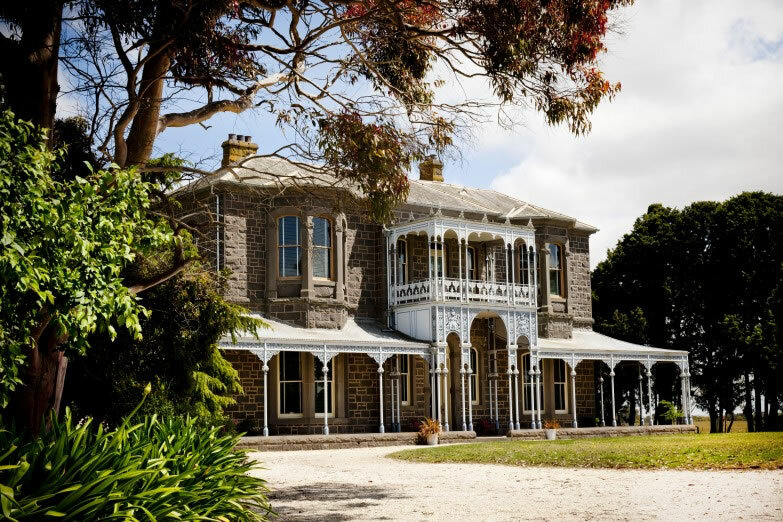 The magnificently restored Eynesbury Homestead, hand crafted from local bluestone almost a century and a half ago, stands testament to the property's pioneering spirit. An array of outer buildings ..
Flagstaff Hill Maritime Village & Shipwrecked Sound and Laser Show Flagstaff Hill Maritime Village invites you to embark on the journey that resulted in one of Australia's most infamous maritime di ..
Hidden away on the north side of Mount Macedon, Fontainebleau is the former country property of the much-loved Australian painter Frederick McCubbin. 24 September 2010 marks the Centenary of the pu ..
Melbourne has some delightful water fountains (water features) which are being turned back on after water restrictions. The fountains are designed to be largely drought-proof, drawing water not fro ..
Glenfern once stood in more than four acres of ornamental pleasure grounds and orchard complete with stables, pigsty and cows. Even today it boasts a spacious though more modest garden. The main se ..
Government House is the official residence of the Governor of Victoria, and is located in the precincts of the Botanical Gardens. 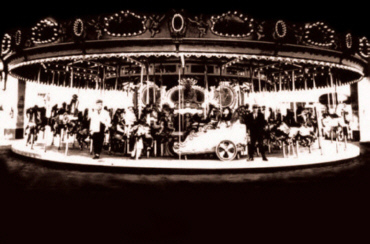 Government House History Melbourne was founded on the east-west ax ..
Luna Park's Merry Go Round, the Grand Carousel original home was White City in Sydney before coming to Luna Park in 1923 where it has remained ever since and is fondly remembered by generations of Mel .. The only way to describe today the former Greenvale Sanatorium is spooky! The former Greenvale tuberculosis sanatorium was opened in May 1905 as the first purpose-built public tuberculosis institut ..
Yarra Valley's Pioneer Working Farm Located less than an hour away from Melbourne's CBD in the picturesque Yarra Valley, Gulf Station is one of the oldest and most intact timber farm complexes in ..
HMVS (Her Majesty's Victorian Ship) Cerberus has rested in three metres of water at Half Moon Bay since being scuttled to form a breakwater in 1926. To the casual observer there appeared to be no ..
Harrick's Cottage is of cultural significance as a rare surviving example of a pole constructed, tent shaped dwelling and is an example of an Irish immigrant settler's hut dating from the early 1860s. ..
Take a trip back in time and discover Dandenong's unique social history through a visit to Heritage Hill Museum and Historic Gardens. Heritage Hill is comprised of three historic buildings, and a ..
Open to public: Tuesday to Friday, 10am-4pm Take a trip back in time and discover Dandenong's unique social history through a visit to Heritage Hill Museum and Historic Gardens. Heritage Hill i ..
Heronswood is a historic property that was built in 1864 and is located in Dromana, Victoria. A Gothic Revival house built in 1874, and highly picturesque, it incorporates the original shingled roofed ..
Karori is one of Mt Macedon's most intact and important 19th Century hill station properties. Karori is of architectural importance and the gardens of state significance. Karori is a 6 acre hill st ..
La Trobe's Cottage was Victoria's first Government House. La Trobe's Cottage was the residence of Victoria's first governor, Charles Joseph La Trobe, his wife Sophie and their children from 1839 ..
Labassa is an outstanding Victorian era mansion with opulent architectural features. Originally called 'Sylliott Hill', it was renamed 'Ontario' in the 1880s reflecting its new owner Alexander Wil .. The former Larundel Mental Asylum site has been developed into a housing and shopping centre. Larundel Hospital was conceived in 1938 to replace the outdated Kew mental hospital. By 1940 work wa ..
3802 Geelong Road, Stockyard Hill (near Beaufort & Skipton) William Guilfoyle (Royal Botanic Gardens) designed Mawallok gardens. Mawallok (also spelt Mawallock, Mahkwallok and Mawhallock) stati .. Built by Andrew and Georgiana McCrae in 1844, McCrae Homestead is one of Victoria's oldest homesteads and is a physical reminder of the early pioneering life, using locally available materials and pri ..
What was life like for people during the early years of Victoria? How did they live? What were their homes like? What did they do to entertain themselves in their leisure time? Two families lived at M ..
We were surprised to see on a DVD about old trams, an advertising hoarding in Carlton for a Melbourne Aquarium except it was the 1930's. As the cable tram rounded the corner from Nicholson Street i ..
Melbourne By Foot is a personalised adventure through Melbourne's past and present. The tour which runs daily at 1pm is led by an experienced and friendly local guide who will take you on a journe .. Since 1870, Melbourne Town Hall has been at the heart of events which have shaped the city's future and celebrated monumental milestones. The Melbourne Town Hall is a magnificent heritage building .. The City of Melbourne offers free tours of Melbourne's historic Town Hall, one of the city's oldest and perhaps most recognisable architectural landmarks. It gives visitors the chance to learn abou ..
Mont De Lancey Historical Homestead & Museum Located in Wandin, Victoria, Australia, Mont De Lancey is known to most as a historic home, garden, museum, chapel and 1880's Slab Kitchen. Take a t .. The property is a working farm of nearly 4,000 acres, incorporating the Mackinnon Nature Reserve, home to the endangered Eastern Barred Bandicoot, and other Australian species such as the wedge-tailed ..
Home of Sir Daryl (artist) & Lady Joan (author) Lindsay Designed by Harold Desbrowe Annear, this magnificent American Colonial style-home was built in 1926 as an extension to a pre-existing 1880s w ..
Narmbool, a magnificent pastoral property of 2,000 hectares located near Ballarat. Owned by The Sovereign Hill Museums Association, Narmbool is home to 12,000 sheep, koalas, kangaroos, wallabies, e .. The National Trust is a unique worldwide organisation that is 'apolitical' and primarily funded by its members. It speaks out and campaigns for the protection of our heritage; it manages and opens .. The Ned Kelly Touring Route website has a wealth of information about things to do, places to see and more along the route. The Ned Kelly Touring Route is a joint initiative between the municipalit .. Known as Noorilim, (local Ngurai-illum Aboriginal tribe meaning 'many lagoons') this magnificent homestead and its surrounding gardens is now classified by the National Trust, and has only recently be .. The Old Beechworth Gaol is one of Australia's most significant post European cultural sites. Its role in the chain of events that led to the execution of Ned Kelly is significant as it housed Ned's mo .. Originally known as HM Prison Geelong, the Old Geelong Gaol, formerly a high security prison, remains much the same as when it ceased operation in July 1991. The basalt (locally known as bluestone ..